Over the years I've received various supplements, vitamins and the like and whilst the intent is there I often forget to take them for one reason and another. Often it's their requirement to be taken 'with a meal' and usually I'm too keen on enjoying said meal than popping a pill of some form or another. Thankfully Seven Seas Perfect 7* don't have such restrictions, you simply take one tablet and one capsule with a cold drink per day - easy although as the festive photo will elude I'm late in hitting publish on this post but we'll consider this a good thing as I can add more weight to my review because in addition to forgetting to publish during a 'tidy up' pop the tablets into a draw and forgot about them and my skin didn't thank me for it. As the name suggest Seven Seas Perfect 7 works with a blend of marine oils 'on the inside' providing a special formula towards seven key needs of the body; Skin and Nails, Hair, Energy, Brain, Vision, Heart and Hormonal Activity. Whilst I don't have the structure of full time employment in your traditional sense and my current lifestyle is no less, if not more hectic in parts than when I was I was keen to see if I could benefit from a little extra help. Your box of Seven Seas Perfect 7 contains a 30 day supply of which I'm half way through and able to share some thoughts. Firstly my word of caution on the size of these tablets and capsules, they are large. I can usually 'pop a pill' without a glass of water, even managing two at a time of your regular paracetamol, antihistamine or the like. I cannot with this, which is probably more sensible in any case. I leave the blister packs along side of my kettle so when I wake in the morning and am waiting on my morning cuppa I can swallow the pairing with a glass of water. My time at home should mean I'm far better with eating habits and skincare regime but it is not the case. On one hand I'm not wearing make up as frequently so my skin is able to breathe but combined with the cooler temperatures it drier and certainly less radiant without the lotions and potions being piled on. 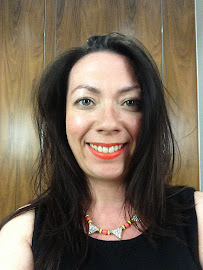 I can honestly say that the time I was using the tablets and forgoing regimented skincare regimes my skin looked better than it does as I type and have forgotten them for a week or two. In fact I have paused from my typing to go and take today's tablets and returned them to their place alongside the kettle. In addition to the skincare woes my sleeping patterns have wavered of late and I'm still struggling with the post Christmas slump. Now the skeptical could argue that is just January but for me the obvious difference personally has been forgoing the daily dose of Seven Seas Perfect 7. My plan now is of course to diligently finish the course and I will report back on the changes but I'm positive I will see a difference and that omitting these from my daily routine has been cause for the recent changes. 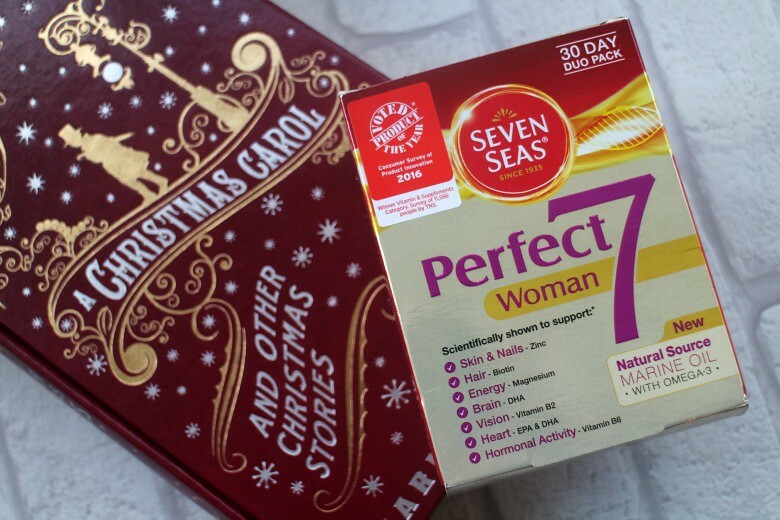 Do you ever take supplements and have you tried Seven Seas Perfect 7? Yes I tried it last year, loved it. Wanted more meant to make use of the offer the had earlier this month and I forgot! Glad to hear of someone else finding it a success.